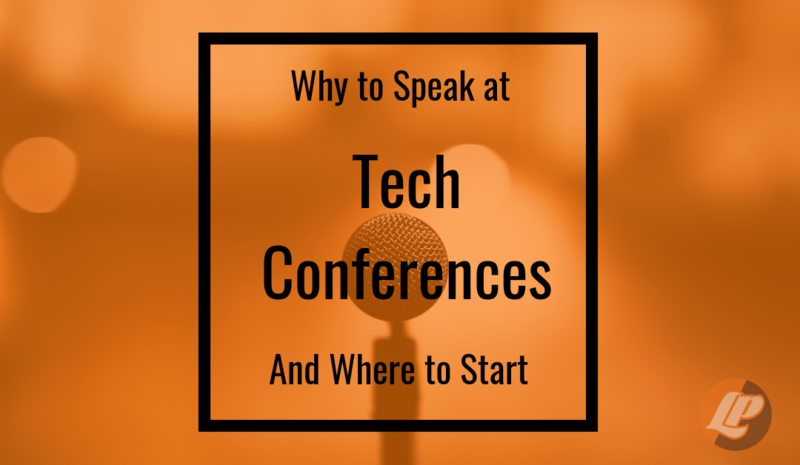 Are you considering speaking at a tech conference, but are unsure if it is right for your career or even how to go about doing it? Here, we outline why speaking might be beneficial based on your goals and the different types of conferences that exist to get you started. Who knows, maybe you’ll find a new fulfilling aspect of your career that you never even knew existed before? If you are looking to build your brand, speaking at conferences is a great way to find new business as well as helping you find local clients and events. If you are looking for developers, try to get into the most significant events that you can. Also, be sure to tout your social media as conferences are helpful at increasing traffic to your sites and getting a larger following. The tech conference circuit is a smaller world than you might think, and conferences are an excellent opportunity to build up relationships with others who have the same interests and similar professional goals. Many people derive a lot of joy and meaning out of participating in their local tech community. Mingling at local events, regional conferences, and meet-ups is a great way to start going about this. These smaller events allow you more time with individuals and a more significant opportunity to connect as you build your network. If you are looking to hone your public speaking skills and perhaps get over a fear of talking to large crowds, the first step to conquering your fear to step on the stage. (Of course, you should carefully prepare and have a plan of action beforehand.) Also, try starting off with smaller conferences and then working your way up to larger ones. Conferences are also a fantastic opportunity to scout out new talent. And extra points if you are personable to other prospective employees. Being charming with other employers will leave a good representation of the company culture through you. It’s a plus if your employer offers a referral bonus so that recruiting at conferences can also become personally lucrative for you. If there is a conference you want to attend, speaking at it can make it much cheaper. For starters, your expenses and travel tend to be covered. Additionally, speaker privileges such as the speaker’s dinner will give you access to more people in a structured environment, instead of talking to others randomly on the coffee breaks. Not to mention that speaking provides an air of authority as you walk around the conference with your speaking badge—which can ultimately lead to a more natural way for people to strike up a conversation with you. First, check what kinds of events and presentations your company holds internally. These events may include presentations at company meetings or lightning talk sessions. These are good events to start public speaking at without having a lot of pressure on you, as you will likely have an audience of friendly faces. These are mostly low-key and an excellent way to ease yourself into presenting. Usually, the crowd is small, under 25 people, and constitutes a lot of junior engineers (and some free pizza if you are lucky). Regional Conferences are then the next step up from local meet-ups. Usually consisting of a more local audience, they are still simple affairs. Talks often take place in classrooms or rented-out auditoriums and may be recorded and put on YouTube. These are the large events you want to work your way up to for presentations. Headliner conferences usually revolve around brand names and major technology. Benefits of presenting at these include a significant credit on your resume, the highest production values, and the video of your talk having the best chance of a massive audience. It may take a while on the speaking circuit to get accepted to these types of conferences, but its never impossible to obtain. Before you start your public speaking career on the tech circuit, be sure to understand why you want to do it and where to start. It’s always smart to learn the ropes and hone your work before jumping into the deep end. Before you know it, you might be headlining those big conferences on the tech circuit yourself!